Product prices and availability are accurate as of 2019-04-23 13:15:25 UTC and are subject to change. Any price and availability information displayed on http://www.amazon.com/ at the time of purchase will apply to the purchase of this product. 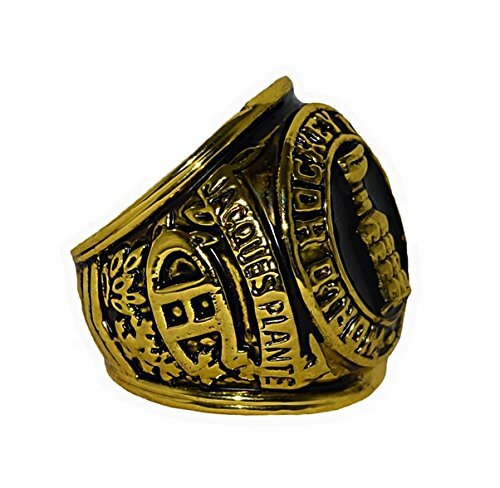 For your viewing pleasure: MONTREAL CANADIENS (Jacques Plante) 1959 STANLEY CUP FINAL WORLD CHAMPIONS Vintage Rare & Collectible Replica Hockey Gold Championship Ring. 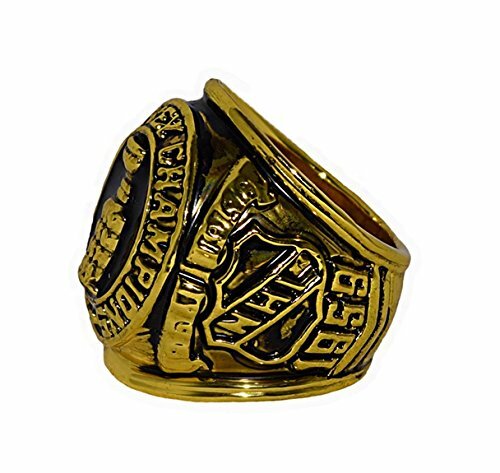 This beautiful NHL ring was hand-crafted by professional jewelers and is made of metal alloy and clad in gold. 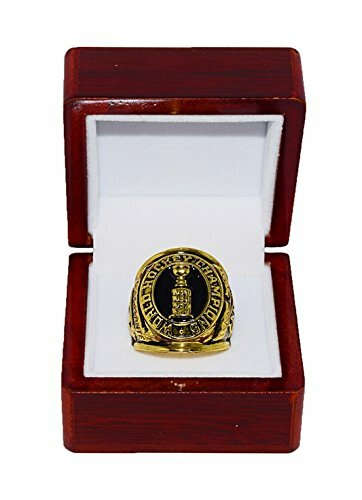 You will also receive a beautiful Cherrywood presentation box so you can display your ring with pride! This is a truly one of a kind item that will stand out in any collection! Give a unique and exciting gift to that special someone this year! This collectible ring is a Size 11 and is intended for display and collectible purposes only. We offer a 100% money-back guarantee so purchase with confidence! We also ship fast and free from a USA location! Please let us know if you have any questions. Thanks for looking! Make Your Collection Stand Out with This Unique Ring! The perfect gift idea for any NHL hockey fan! 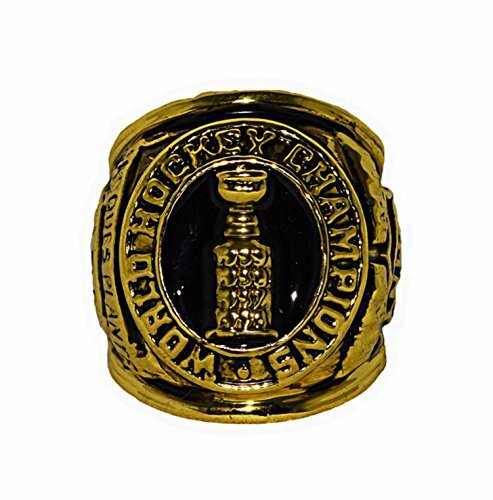 Rare 1959 Stanley Cup Championship Replica Ring! We ship fast and free from a USA location! 100% Money-Back Guarantee! Buy with confidence!